NEW!! HAND-TIED WEFTS NOW IN STOCK! EMAIL US FOR DETAILS ON HOW TO ORDER! 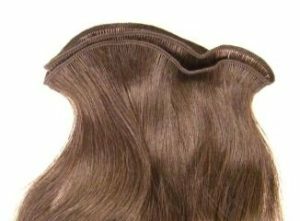 We manufacture and retail premium Tape-In & Weft hair extensions. Kesh is a Canadian owned and operated quality hair extension retailer and wholesaler. Our mission is to hand-pick only the finest Virgin Russian Standard hair for customers all over the world, specifically to Canada and the United States but also to many clients in South Africa, New Zealand, Australia, Japan, Germany, Southeast Asia and the United Kingdom. We offer single orders for the end user (no minimum order required) and wholesale prices to qualified retailers and extensionists at a discounted price (minimum order required). For exciting news, promo codes and deals, subscribe now! Kesh’s Russian Standard hair is amazing. It still feels soft and smooth after 10 months or regular wear on dozens of our clients. It has never tangled nor has the color faded or changed. The quality of the blondes is especially great! Highly recommended for affordable Russian hair (we buy wholesale). We have been searching for a high quality hair for years and are super happy with Kesh Hairs Russian Standard hair. Many months in and we have not seen any shedding, tangling or matting. The hair texture is still very soft. This really is high quality hair. 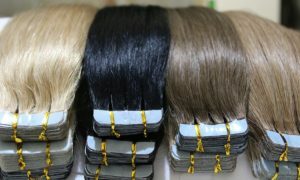 The wholesale prices are very good compared to most other slavic hair. I am using the #60 Tapes in the Russian hair. #60 hair is usually quite dry, but this hair is really soft and smooth. Best hair I have tried in years!